I Really couldn’t sleep last night and so I finished a stack of mysteries due back at the library anyway. 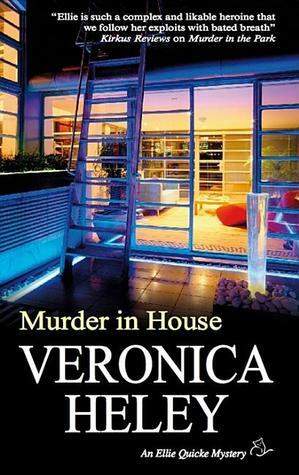 The first was Murder in House by Veronica Heley. I am reading this out of order, having read the rest of the series a while ago, my library just didn’t have this one and now they do. 🙂 I love the character of Ellie Quick; she is complex, likable, intelligent and brave, all packaged in the body of a middle aged woman. Initially, when I began this series I thought of it as a cozy but I would say that it definitely progressed to more of a soft-boiled and this book in particular certainly has dark themes and events. The plot was complex but what really drives Veronica Heley’s books are the characters. They have complicated, messy relationships, just like real life. The prime example is Ellie and her daughter Diana, which was prominent in this book. Because the series is so character driven, I would strongly recommend reading it in order (even though I didn’t), as relationships change and develop over time. If you enjoy cozies with a darker feel or soft boiled mysteries, this is a great series, driven by a great protagonist. Bernie is a burglar, but with a good sense of right and wrong and loyalty to friends, that makes him a lovable rascal type of character. He also happens to own a bookshop, so people who like to read books about other bibliophiles have that to look forward to in this series. His best friend and drinking companion is a lesbian, who owns a pet grooming business. All in all eclectic, well drawn characters and excellent mysteries with humor drive this wonderful series. Moving on to M.C. 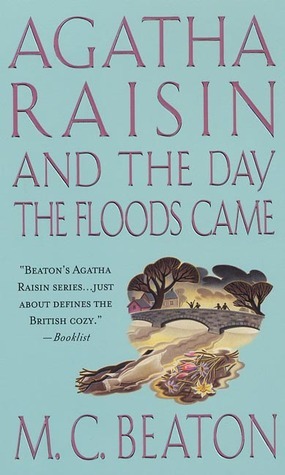 Beaton’s, Agatha Raisin and the Day the Floods Came. Agatha finds herself bereft when James and Charles both abandon her,but she acquires a new “partner in crime” in the form of a new neighbor to help with the sleuthing. 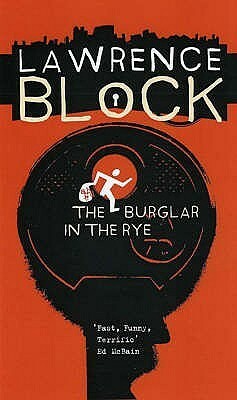 This book focused on Agatha working with her new neighbor to solve a murder. There are red herrings to follow and Agatha gets chastised by…just about everyone for her antics in crime solving. The mystery is well done and solved very satisfactorily. Agatha’s personal life is still a shambles, very much in Agatha Raisin fashion. I’ve begun to give up hope that she will ever find stability with a partner she loves, but I will keep reading to see if she does. Charming, cozy mystery series that includes elements of comfortable village life and a more worldly view. Agatha is really an incomparable character. She brings much of her grief upon herself, at the same time you can’t help but feel for her as she fumbles through life. Anyone who has offended someone unintentionally or had their life upset repeatedly can certainly relate to her. In the end, she is intelligent and well meaning and certainly a capable sleuth. First off, sorry for the insomnia, but I adore the title of this post! Three mysteries in one night? I’m impressed! I sometimes pretend I have insomnia so that the Hubs doesn’t realize that I’m just staying up super late to read. Normally when I have true insomnia I don’t realize that I’m not going to get any sleep until well into the night. I really need to read a book by Beaton, and I have one awaiting me on my TBR bookcase. My sister in law loves mysteries, and Beaton is one of her favorites.